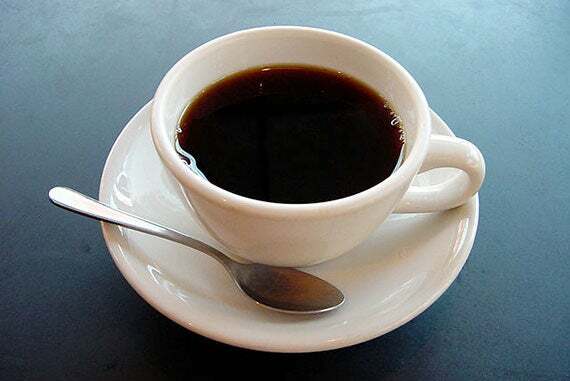 Though there has been disagreement over coffee’s health effects in the past, evidence of its benefits has been mounting, noted Marilyn Cornelis, a research associate at the Harvard T.H. Chan School of Public Health, who led the study. In fact, Cornelis herself — who never liked coffee — has been persuaded to try to cultivate the habit. An international research team has found six new genes underlying our coffee-slurping ways. The work, led by Marilyn Cornelis, a research associate at the Harvard T.H. Chan School of Public Health, found a total of eight genes, two of which had been identified in prior work by Cornelis and others. Two of the new genes were related to metabolism of caffeine and two were related to its psychoactive effects. The two remaining genes are related to lipid and glucose metabolism, but their role in coffee consumption is unclear. They present a possible avenue of investigation, Cornelis said. The discoveries provide insight on why caffeine affects people differently, and how these effects influence coffee-drinking behavior, Cornelis said. One person, for example, may feel energized on a daily cup of coffee, while another might need four cups to feel the same effect. If the one-cup-a-day person consumes four cups, Cornelis said, he or she might feel jittery or experience digestive issues, discouraging that level of consumption going forward. Though there has been disagreement over coffee’s health effects in the past, Cornelis said evidence of its benefits has been mounting. In fact, Cornelis herself — who never liked coffee — has been persuaded to try to cultivate the habit. The new genes explain about 1.3 percent of our coffee-drinking behavior, Cornelis said. Though that may seem like a small amount, it is about the same as that reported for other habitual behaviors, such as smoking and alcohol consumption, she said. Culture is a probably sizable influence, researchers said, but there’s also a strong chance that additional genes remain to be found, perhaps many more. The findings were published Tuesday in the journal Molecular Psychiatry. The work was conducted by the international Coffee and Caffeine Genetics Consortium, which was launched two years ago, Cornelis said, by investigators who had published parallel work on caffeine-related genes. The researchers joined forces and recruited additional investigators, with each team contributing DNA samples and data sets, including surveys of the coffee-drinking habits of 120,000 people of European and African-American ancestry. The analysis involved searching for consumption patterns and single “letter” changes in the genetic code called single-nucleotide polymorphisms, or SNPs. The study’s senior author, Daniel Chasman, a professor of medicine at Harvard Medical School and the Harvard-affiliated Brigham and Women’s Hospital, said in a statement that the work is an example of how genetics can influence habitual behaviors. The genes found so far might represent only the tip of the iceberg on coffee consumption, Cornelis said. Not only may there be more genes involved in caffeine metabolism, coffee is rich in active compounds in addition to caffeine, some of which may also have physiological effects.